Fun worksheet to practice drawing and identifying circles! 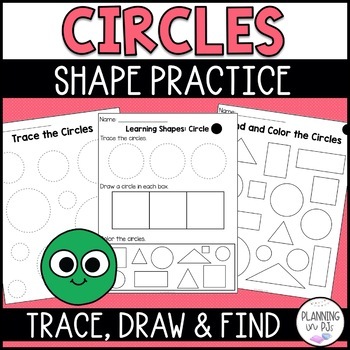 Students will trace circles, draw their own, and identify and color circles in a group of shapes. Looking for more SHAPES worksheets? See my STORE or Check out my Learning SHAPES Pack!